What a busy year we have had. In October the whole of Year 5 participated in the Watford and Hertsmere Consortium Cross Country tournament with each child running a distance of 1 mile. It was a very tight race and we are very proud that four of the year 5 boys got in the top 20 out of ten schools. 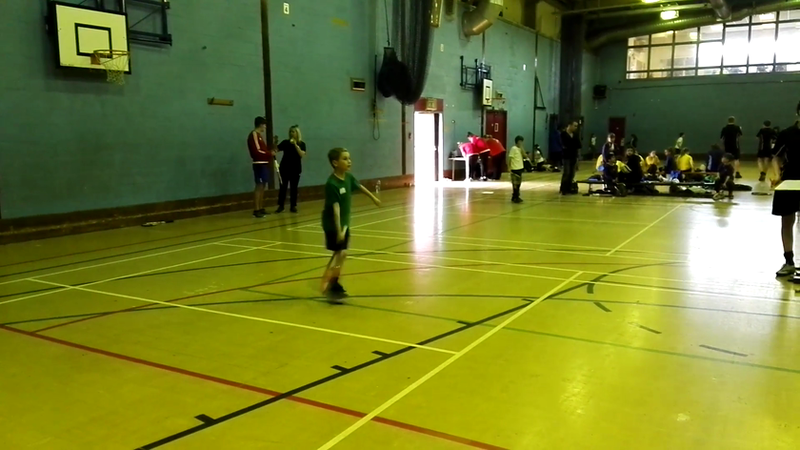 Dylan got through to the next stage of the tournament but he was unable to compete as the event was held on a Saturday. 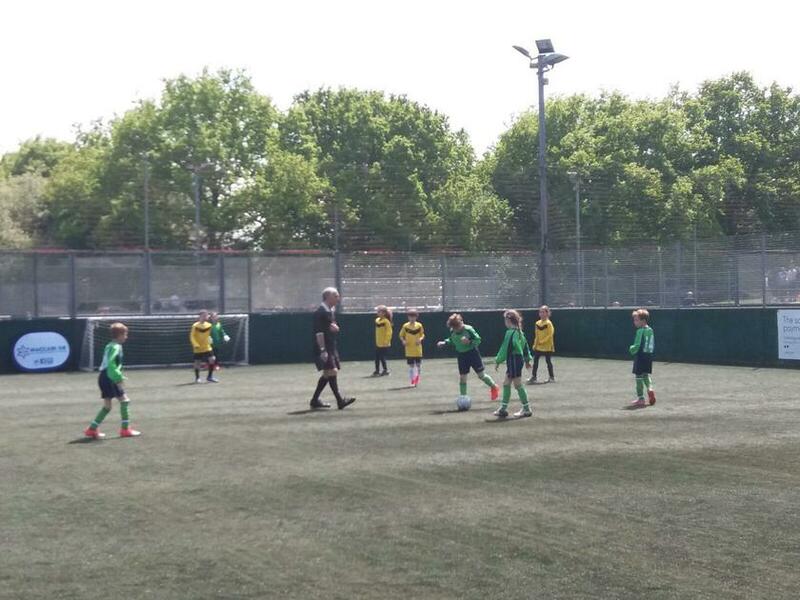 We then kicked off the football league which consisted of the year 5/6 boys playing 8 local schools within Borehamwood and the Year 5/6 girls playing 6 local schools within Borehamwood. Our first win for the girls was at Monksmead, winning 4-1. Each and every girl made amazing progress throughout the season We ended the season in 5th place. We were very lucky to play one of our league games at Borehamwood FC training pitch. We then played in a tournament with these schools again at Monksmead School where I am delighted to say that we got through to the final but unfortunately we lost to Saffron Green. The girls from Year 5 and 6 also participated in 3 Maccabi tournaments and on 2 of these occasions we got through to the semi-finals but sadly lost – a fantastic achievement, well done girls. The boys started their league with a loss but from then on they went from strength to strength winning nearly every game and with great scores too – the best being 14-0 to us! The boys also had the opportunity to have training from Borehamwood FC and got to have a tour around the club, the favourite part of the tour was visiting the boot room. At the end of the league we finished 3rd, narrowly missing out on 2nd place by goal difference. The year 5 and 6 boys also went to 3 Maccabi tournaments, this year we had enough boys to send 3 teams – all the teams did very well and it was clear that they improved and started working together as each game went on and in the January tournament we got through to the finals where we played Sinai who ended up winning 2-1. We have also been represented by 2 mixed Year 3 and 4 girls and boys teams in the Macabbi tournament and it was great to see how the teams worked well together, improving in every game. 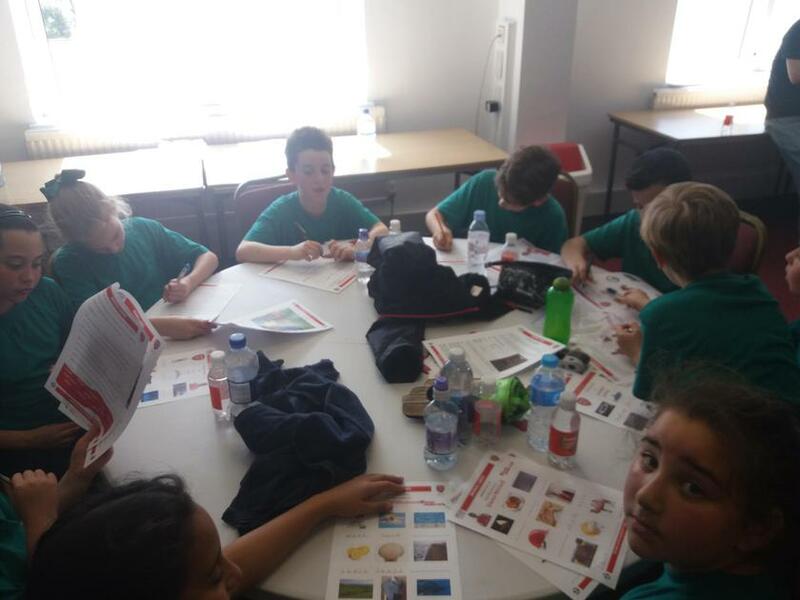 In March, 7 children from Year 5 and 6 went to The Venue to participate in the Watford and Hertsmere Consortium Swimming Gala. This was a great event and a special well done must go to Darcey who came 2nd in the freestyle tournament. It was a shame that we had such few swimmers, hopefully next year we can enter a bigger team. 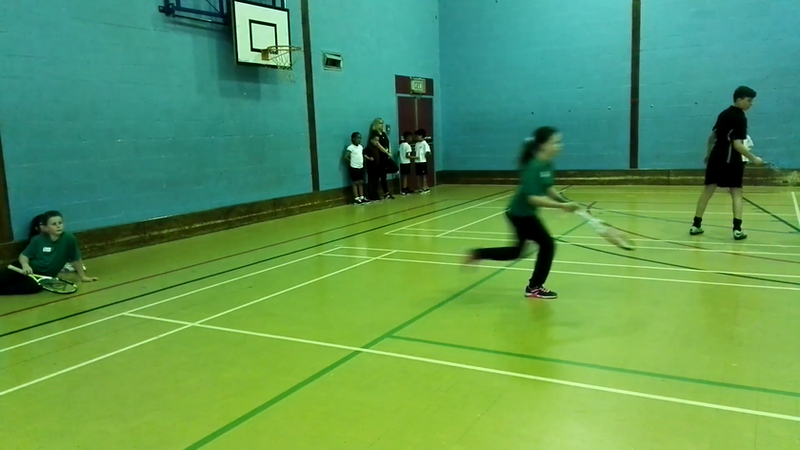 In February we took a group of year 4 and Year 6 children to Yavneh school to compete in the Watford and Hertsmere Consortium athletics festival – we had a lot of fun competing in inside athletic events. 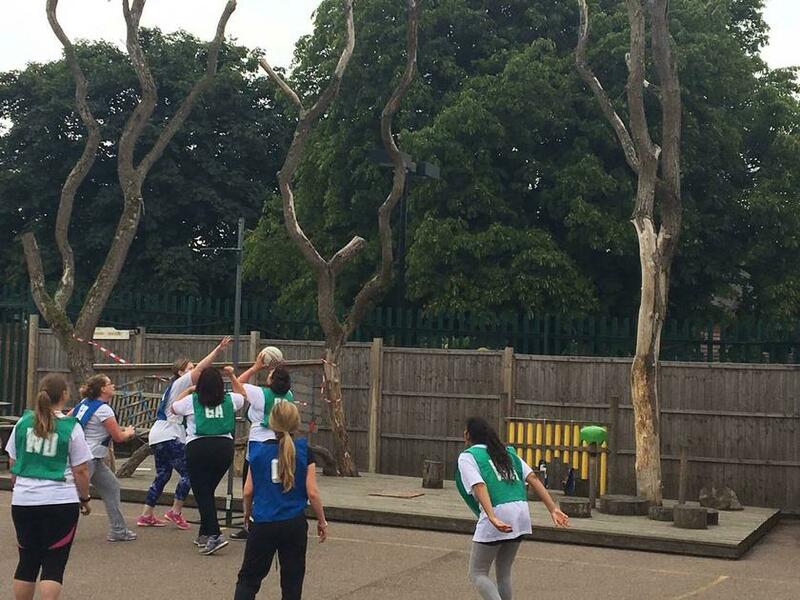 As the football season ended, we turned our attention to netball. We started the season with a tournament which was run by Watford and Hertsmere Consortium. Even though we didn’t get through to the next stage we did come second in our group. The improvement in our netball team has been seen in every game and it has been a season where we have seen which players play well. In June Year 5 participated in the Maccabi tournament against Matilda Marks and Wolfson Hillel. We lost to Matilda Marks but beat Wolfson Hillel - the team all enjoyed the day and are raring to go next year. Year 6 have had a fantastic end to the netball season. 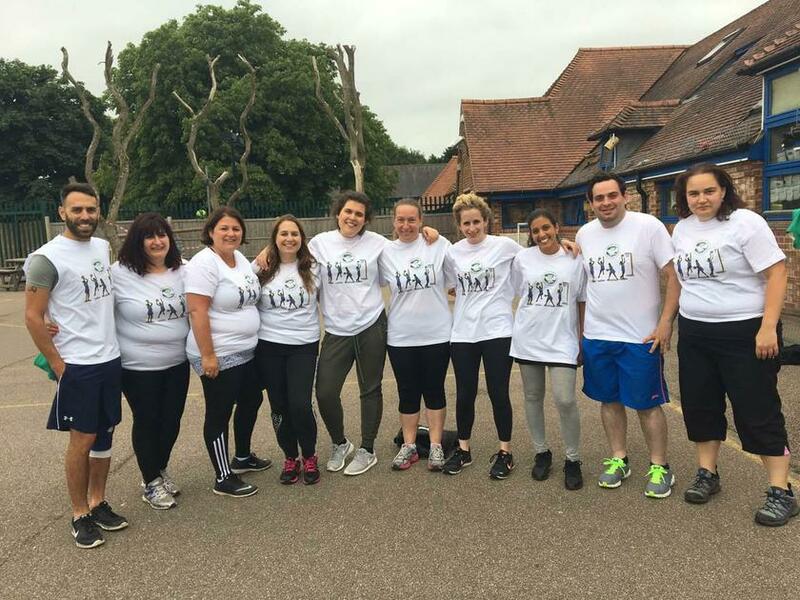 On 11th July we participated in the Macabbi netball tournament and after extra time in the final we were triumphant beating Matilda Marks School. 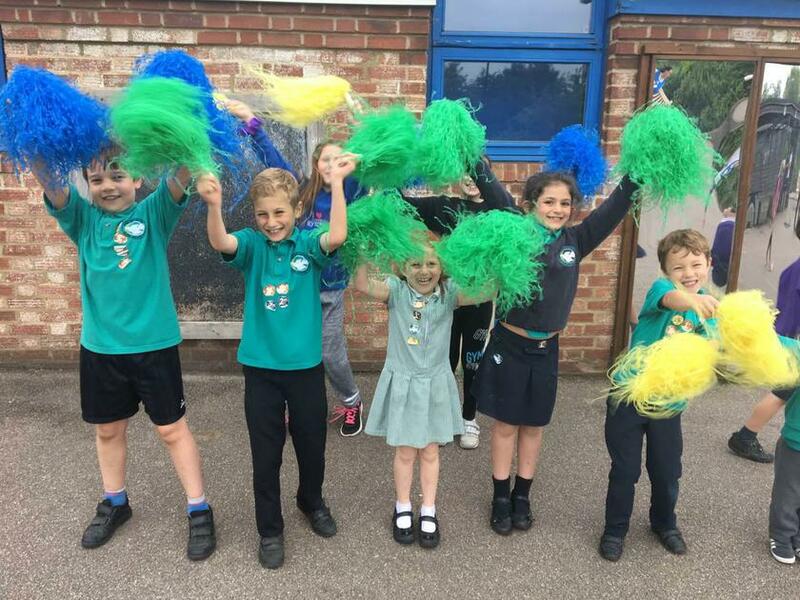 The sporting events have been for Years 4, 5 and 6 and I am extremely proud to say that 97% of our children have represented Clore Shalom in a sporting event this academic year. Next year we hope to be able to send some of our younger children to some age related events as well. I would also like to take this opportunity to thank the parents who transported the children to all the events and for supporting and cheering us along at the matches. We have had a fantastic sports year and I hope that we will continue going from strength to strength. 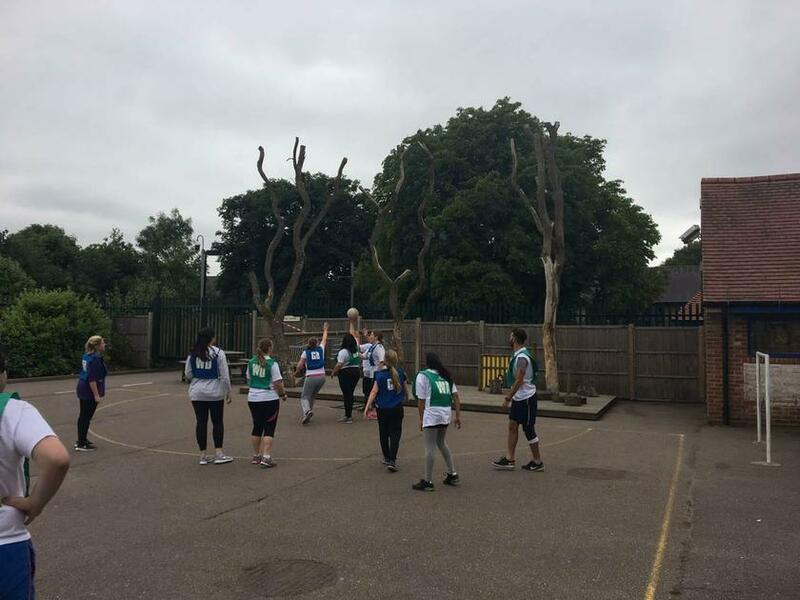 On Wednesday 11th of July, Year 6 went off to play at a Maccabi GB netball tournament held at Matilda Marks Primary School. Our first game was against MMK. We started off really well but unfortunately they got away with two goals but luckily we got two goals back! In the second half it was even more tense than the first half as they started off much better scoring four goals but by the end we had also scored four more goals leaving us with a draw. Our next game was against our main competitors, HJPS. We started playing really well and scored two goals but sadly they caught up. In the second half we managed to get two more goals with them getting only one more goal, we won 4-3! Before we could determine if we could get into the finals we had to play Wolfsen Hillel, luckily we thrashed them 9-3!! As we got into the final we played MMK again. They were really good so we had to up our game. As the whistle blew we started to play. We both started really well but unfortunately they scored two goals but we were not giving up. As the game was going to an end it was 6-6, it was a draw so extra time began, we had three minutes to win! This was very tense. Fortunately for us Darcey and Evie scored and it was a victory for us. Our last game at Clore, we were all so proud and happy for each other. Thursday 10th May v Clore Shalom v Cowley Hill netball match. On the 10th May 2018 the Year 6 netball team went out to play a netball match against Cowley Hill School. Clore Shalom had a very good start with many great goals from Darcey and Ella. Further on during the game, still in the 1st quarter, Amy had a fall. Sadly she had to come off to be patched up! Luckily she was back on court within 5 minutes. We all played well as a team and scored many more goals. In the 3rd Quarter Cowley Hill scored 2 goals but fortunately Kiara scored 2 goals too. By this time the score was 5-2 to us. It was now the 4th Quarter, everyone was trying their best and that worked as we got another two goals. The final whistle blew and we had won 7-2 . Thank you Mrs Globe for organising this match and for all the great tips you gave us to help us win. 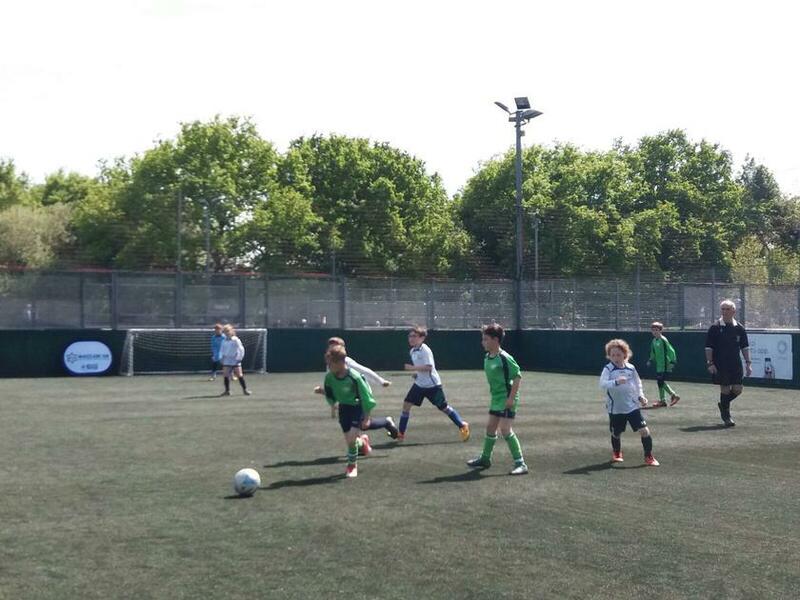 Thursday 19th April - Year 5/6 Girls' football tournament. What a scorcher, both on and off the pitch as we played on the hottest April day on record since 1949. 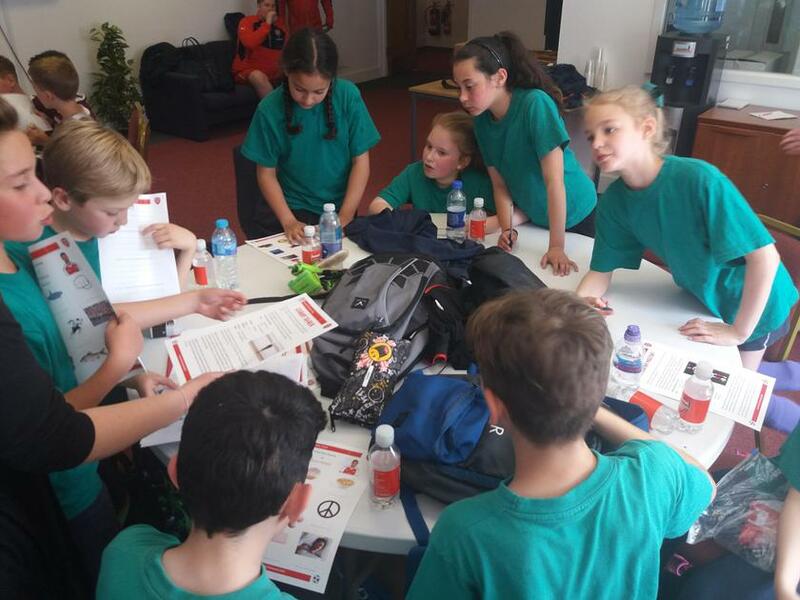 7 schools entered teams into the Borehamwood Consortium tournament. We kicked off our first game against Cowley Hill - we started very well and soon we had scored our first goal. The game ended with us winning 4-0. Kenilworth were our second game. Last time we met we lost 3-2. This did not deter us and after a stunning goal from Evie (her first long awaited goal this season) we went on to win 2-0, we were flying high. Next we played Woodland and we drew, with Gabi scoring her first goal of the season. This put us at the top of our group with 7 points. We were in the semi final! Our semi final game was against Parkside and we won 2-0. We were now in the final and we had to wait anxiously for Kenilworth and Saffron Green to finish their game which ended in a penalty shoot out. Saffron Green won which meant it was Clore Shalom v Saffron Green in the final. 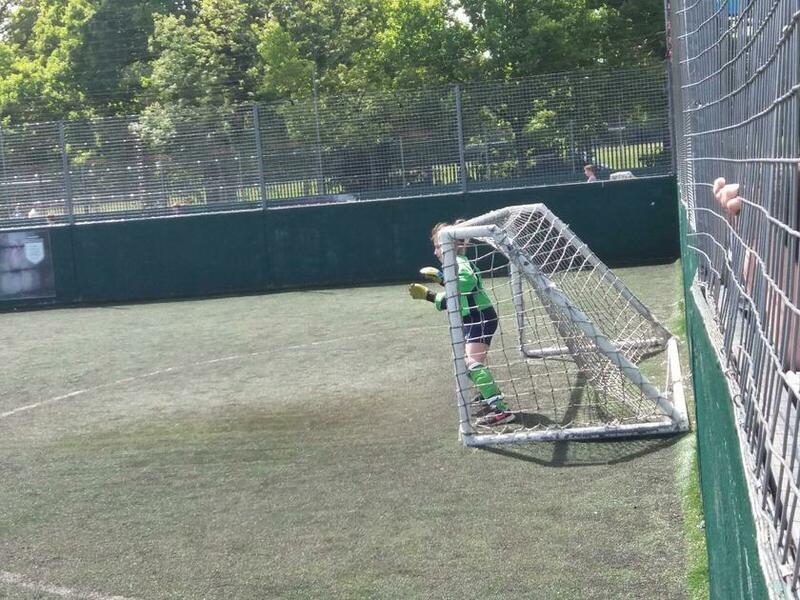 2-0 but our goal keeper, Kiara, was an absolute star making some fantastic saves all day. Overall we came 2nd and we were presented with medals and a trophy. Well done to all the girls on a fantastic result. On Friday 23rd March 2018 7 children from Year 5 and 6 went to The Venue to participate in the Watford and Hertsmere Consortium Swimming Gala. We started off with an amazing performance from Molly, who did breaststroke. Other swimmers from our school competed until it came to Darcey who came 2nd in her race. The boy's relay team did really well, just missing out on the medal position by coming 4th. We then waited for the finals to take place - Darcey did an amazing race and came 2nd earning her a medal. Overall we came 5th out of 8 schools. We would like to say a big thank you to Mrs Globe, Mrs Levenson and all the parents who came, for supporting us throughout the Gala. 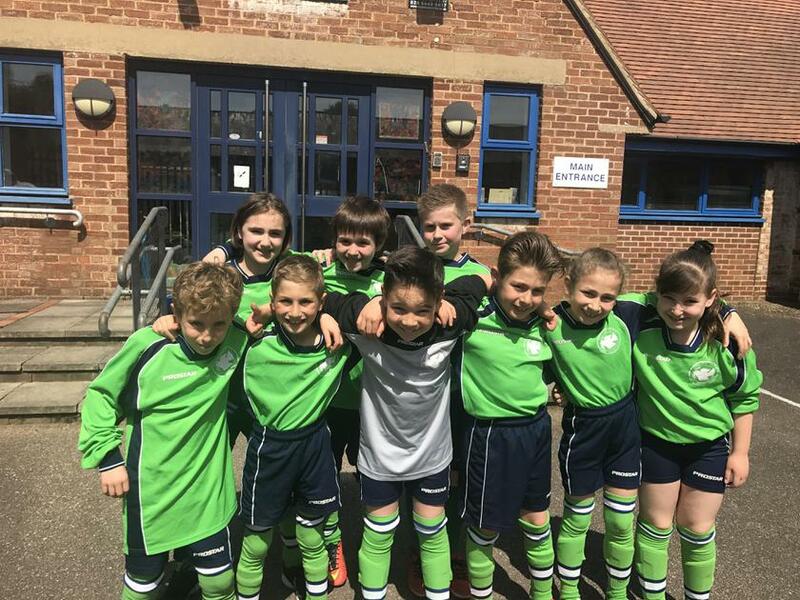 On Tuesday 13th March 2018, the year 5 and 6 football team were lucky enough to play a match in the Borehamwood tournament against Shenley Primary. 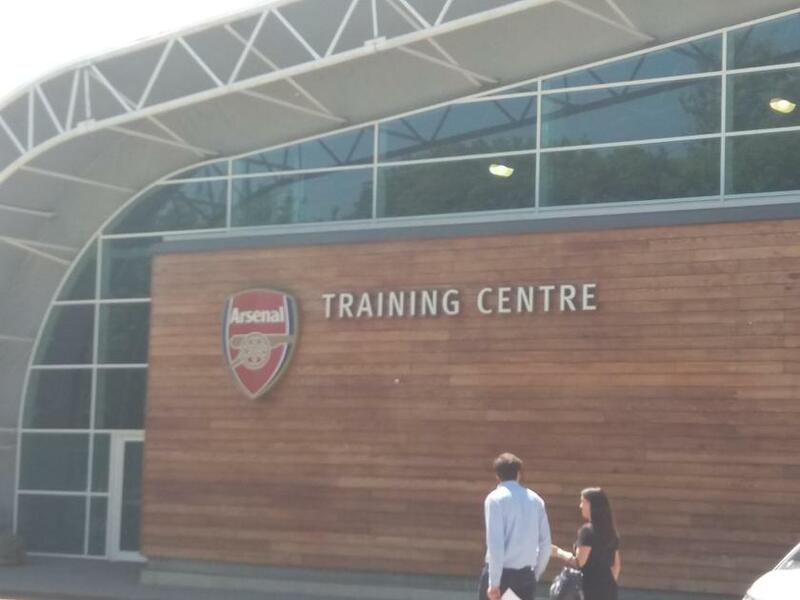 The match took place at the Borehamwood training ground. The game kicked off. Straight after the whistle blew, Benji scored with a great assist from our outstanding goalkeeper, Zak. Before we knew it we were 2-0 up with a goal from Oliver. The tremendous effort from the team made us 7-0 up at halftime. Mrs Globe was very happy with our first half performance so we went into the second half with the same game plan! The second half started and once again we scored. Then we saw a fantastic goal from Sam. Next we saw a fabulous goal from Jakob. Finally the whistle blew and we were delighted as we had won 13-0. Thanks to Mrs Globe for arranging this match and to the parents for supporting us. 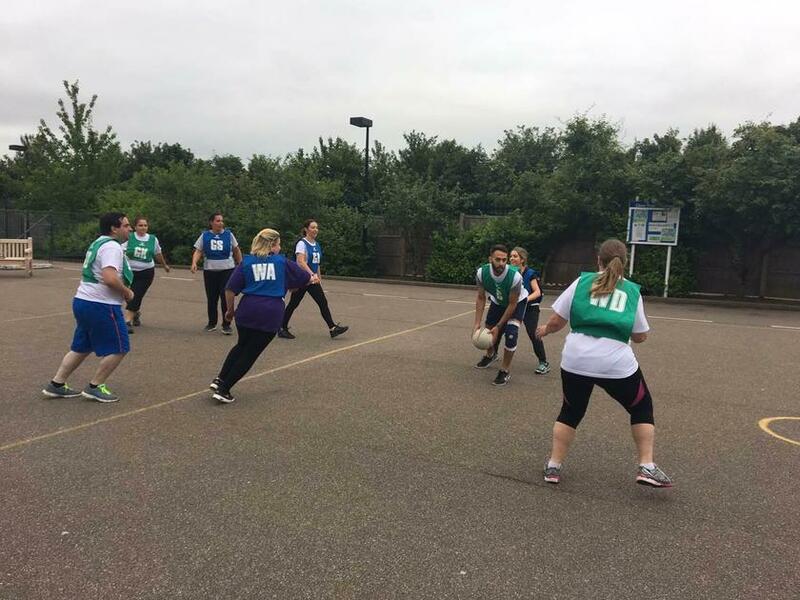 Hi 5 Netball tournament - 7th March 2018. On Wednesday 7th March 2018 the Year 6 Netball team took part in a Hi 5 netball tournament. Each person arrived and received a netball bib with a position on it. By the time we got our positions it was time to start our first match against Bournehall School. Unfortunately, we lost 4 – 0 but that didn’t get in our way. It made us stronger as a team. Next up we played Holywell School. Fortunately, we were back in the game and we won 11-0. We then waited patiently while the other teams worked their hardest to win. After the break our energy returned as we battled it out against Nascot Wood. Jonah and Jasmine did an amazing job and we happily won 4 – 2. Now we couldn’t wait to hear how we did. We were so excited when we found out that we were second in our group which meant we had one last game to play against Shenley School. Ella and Coco made the score 3 - 2 to us. We would love to thank Mrs Globe for organising this amazing experience. On Monday 5th March we played Monksmead Primary School here at Clore Shalom. We started well, passing the ball but sadly we conceded a goal as they put one past our keeper but we weren’t going to give up yet - we were just getting started. Soon after, we kept the ball going up the pitch as we equalised with a goal from Ella in the bottom corner. After a great goal from Darcey we had secured a 2-1 lead before half time. Not long after half time, Millie scored a goal giving us our 3-1 lead. Many amazing saves from Kiara helped us keep our goal difference. The ball went down the pitch to us and their goalkeeper mis-kicked the ball and it went in the goal, giving us a 4-1 lead. The full time whistle blew and we shook hands with the opposing team, we all played really well. We would like to thank Mrs Globe for organising the match, Mrs Mesnick for coaching us and Mr Conway for refereeing our game. On February 19th Year 5 and 6 were invited to play at Kenilworth school. 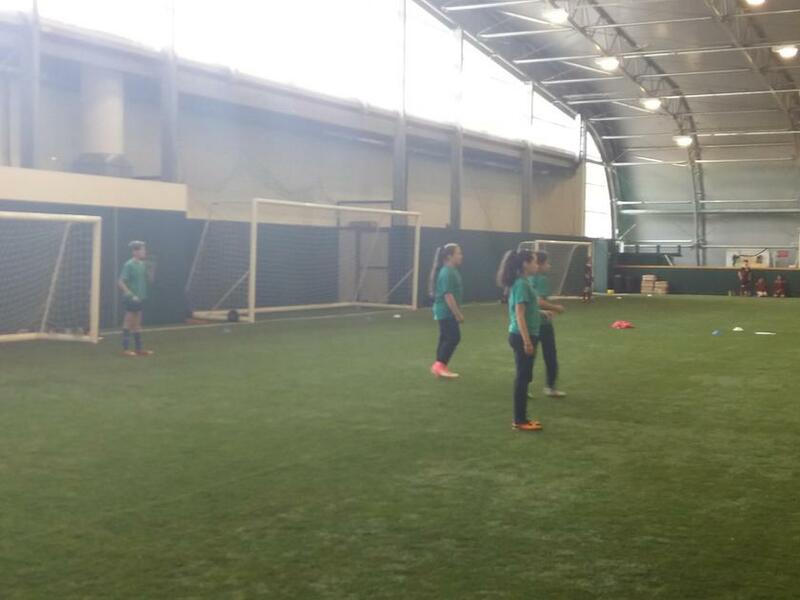 We started off by warming up and practicing our passing and kicking of the ball. When we started our match we unfortunately let in two goals in the space of ten minutes but we didn’t let that stop us. They had another few shots but our amazing goal keeper, Kiara, stopped them. We tried our very hardest and by half time we were drawing 2-2 (with Ellla scoring both). We had a team talk and that helped us boost our confidence and defend better. Then we kicked off again. Sadly we let in another goal and there was only three minutes left. We pushed ourselves to try to score another goal but as we heard the final whistle we knew the game was over. The final score was 3-2 to Kenilworth but we still did our best and this was an improvement to our last game which we lost 8-1. Year 5 /6 girls Maccabi football tournament - Wednesday 24th January. On Wednesday 24th January, the girls from Year 5 and 6 braved the rain and participated in the Maccabi tournament. We were all very excited to start our first matches. The B team had a very hard group and unfortunately they did not get through to the next stage of the tournament. The A team kicked off against Independent and won 1-0. The A team also won their next 2 matches and at that point had equal points with Rosh Pinah - we then went on to play Rosh Pinah with both teams playing to win so that they could be top of the table. Sadly we lost and we waited anxiously to find out if we had got through to the next round which we did as second best runner up. The only problem now was that we had to play Rosh Pinah again but at least this time we knew who their best player was and Grace did a fabulous job of marking her. Witihin the first couple of minutes Darcey scored a goal and with our great defending, Rosh Pinah were unable to score. We were through to the semi finals - Clore Shalm V HJPS!. It was very tense but quickly Darcey scored, unfortunately, it was disallowed. The game ended 0-0 and we went to extra time where HJPS scored. Although we were disappointed we were very proud of ourselves as we had got through to the semi final - we have never done this before. Thank you to Mrs Globe and all the parents for cheering and supporting us throughout all our matches. On Thursday 18th of January 2018, Clore Shalom School faced Shenley Primary at Borehamwood FC. When we arrived we got a tour around their stadium. Our favourite room was the boot room. It stank. Although it smelt a lot it was full with amazing football boots. After our tour, we headed to our pitch, where we would face our opponents. We had five minutes to spare before kick-off and during that time Alfie gave us a quick warm up session. Our game started and we dominated possession, and sooner rather than later Jakob completed a great team goal to open the scoring and give us a confidence boost. We played some lovely football, leading to a couple more goals. Our parents were not impressed as it was freezing cold. To make matters worse it started hailing heavily. At the change of ends, we were 4-0 up thanks to goals by Maxi, Sam, Jakob and Oliver. There was great team spirit which lead to yet another goal scored by Jonah and created by a lovely ball from Benji. There were times we were a bit shaky meaning that we conceded a goal. Sam scored goal 6 and 7 to get his hat trick due to two great assists from Elijah. There were 5 minutes left and our opponents looked like they were lacking energy and during that period of time Zak smashed the ball past their keeper and Elijah used his amazing accuracy to find the corner of the net. Our team played fantastically and we ended up winning 9-1. We were all very excited for the tournament – Mrs Globe had selected 3 brilliant teams that all had a good chance of getting through to the second stage of the tournament. Zak’s team started by playing Menorah, the game ended 1-1, a good start. We continued to play and we drew 2 games and won 3. Benji’s team started by playing Morasha but sadly we lost that as Morasha scored a goal in the last minute. After that the team went on to win 3 matches in a row. Rafi’s team played well and overall won 1 game, drew 1 game and lost 3 games – they played incredibly well particularly as most of the games they played were against A teams! It was then time to meet up with all the other teams to see if we had got through to the next stage. Amazingly we had 2 teams in the next round. Benji’s team drew against Sinai after extra time and the tension mounted as it went to a penalty shootout. Unfortunately, we lost 2-1 in penalties but a special thanks must go to Benji for some incredible saves and also for stepping in as a goalkeeper for the day at the last minute. What a fantastic day, the best we have played in many years. We loved every minute of the tournament. Thank you Mrs Globe for organising it. On Wednesday 10th January Year 3 and 4 went to play at the Maccabi tournament. The A team started with a game against Matilda Marks. Luca started off with an early goal but sadly when the final whistle blew we had lost 3-1. After that the A team played Sinai and, to make a long story short, we won 1-0 with a tremendous goal from Joe. We then played Beit Schvidler and won 2-0 with goals from Raphy and our only girl in the team, Billie. It was a great goal. Unfortunately we missed out on getting through to the next round by 1 point. The B team started by playing against Kerem A team. The game kicked off and by the end we had won 3-0. The B team played very well but sadly did not get through to the next stage. Throughout the games some great saves were made by Rafi and great goals were scored by Asher and Alex. We would like to thank Mrs Globe and Mrs Martin for managing the two teams and the parents for taking us. On 28th November,the girls from years 5 and 6 took part in their first football league game away against Saffron Green. We started well, passing the ball but sadly Saffron Green scored 2 quick goals but we didn't give up. By the end of the first half we were 5-0 down but after the break we were raring to go and started working harder as a team. 5 minutes into the second half Saffron Green scored another 2 goals but still that didn't put us off. 10 minutes into the second half we scored with an amazing goal by Darcey, assisted by Ella. Sadly we lost 7-1 but we were not too downhearted as we are now having regular training on a Thursday lunchtime and hope to do better against Kenilworth School in January. We would like to thank Mrs Globe and the parents for supporting us through the whole match. On 29th of November 2017 Year 3 and 4 took part in the Maccabi football tournament at Mill Hill Power League. 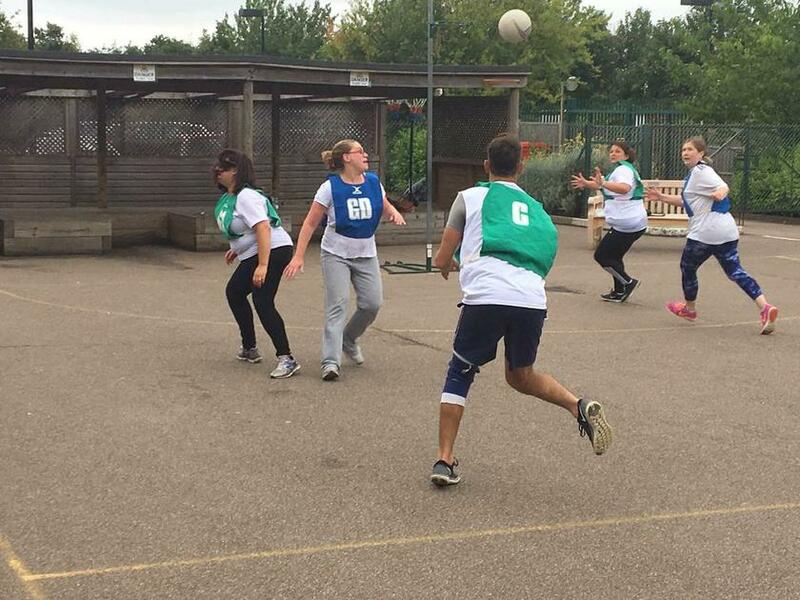 The teams went head to head with lots of different teams which were Moriah, Rosh Pinah, Hertsmere, Wolfson Hillel, Independent, Akiva, Kerem and Matilda Marks. The A team kicked off against Matilda Marks and sadly it ended 1-0 to Matilda Marks. The 2nd game went to the last minute with Rosh Pinah leading 1-0. It went down to the last 10 seconds and Luca scored an amazing goal with 1 second to spare. Lucky Luca scored. We played Hertsmere and scored 2 early goals and then scored another 2 goals. We beat Hertsmere 4-0. Joe scored a hat trick. Unfortunately our B team lost 1-0 to Wolfson Hillel. Thank you to our goal keepers Josh, Joey and Rafi. The rest of the team played very well and we would like to thank them as well. Thank you to Mrs Martin and Mrs Globe for taking us. On the 22nd of November 2017, the girls from years 5 and 6 went to Mill Hill Power League for the Maccabi football tournament. When we got there, we were separated into our teams and were told the way the tournament was going to work. We were all looking forward to our first matches and a few minutes later, our ‘A’ team kicked off their first match. We cheered on the team and when the whistle blew for the end of the match, the final score was 0-0. Then it was the ‘B’ teams turn to step onto the pitch and we played against Morasha and we tied 0-0.They were made of tough stuff but our goalie saved many goals and we were proud of ourselves for trying our hardest. The next few matches went well and the ‘A’ team won 3-0 in their second match, which was against Rosh Pinah. Unfortunately, our ‘B’ team were defeated by Matilda Marks but they redeemed themselves when their next match came to 1-1. Then we waited with anticipation for the final results of the tournament. We found out that we didn’t make the Quarter – Finals but we had an amazing time playing and we will remember it for a long time. THANK YOU TO MRS GLOBE FOR ARRANGING THIS TOURNAMENT AND TO ALL THE PARENTS WHO SUPPORTED US!!! On Monday 13th November 2017 Clore Shalom played their first home game of the season. We faced Summerswood, Jonah’s old school. We kicked off at 3:45 and we were surprised to see that we had a massive crowd. The whistle blew and we were on the front foot. With a few early chances, we should have been 1 nil up. When Summerswood found their feet we had an awful shock as they were on their first attack, but we managed to stop them with a brilliant tackle from Elijah. We received a great ball from Benji and a header from Oliver which very nearly lead to a goal. At the change of ends, we were a little down hearted, but we knew we could still win. We had a free kick, Elijah stepped up to it, WHACK, it hit the crossbar and so close to everyone getting the rebound. Shortly after, Zac took a free kick, he stepped up to it, he pretended he had a shot and passed it in the box which we nearly scored from. With 6 minutes to play Harry played a lovely ball through to Benji and he snuck it past the goal keeper. We think that Harry and Benji’s celebration was better than the goal itself. We were relieved that we snatched the win! On October 17th, Clore Shalom School competed against Woodlands School. It was our second football match. We were extremely excited but on the other hand we were nervous because of what happened in our first match. We started very well passing the ball around. 3 minutes into the game we scored an amazing goal by Benji. We were now ahead 1 – 0. Later on we banged in another 2 goals scored by Zac and Benji. At half time we were proudly 7 – 0 up. Mrs Globe was very happy with our performance. We went back out there and Elijah scored a screamer from the half way line. We all celebrated in joy. During the match Clore set up some magnificent chances finishing every single one. Mrs Globe’s magic must have worked as we won a whopping 14 – 0. At the end of the match we congratulated our team and shook hands with everyone. We went home very happy and cannot wait for our next game. On Tuesday 31st of October Year 5 participated in a Cross Country run. We were all very nervous but had high hopes of succeeding. First we started off with a big warm up with stretching and jogging. After that, the girls were called to the start line to begin their race of 1500m. The girls all ran as fast as they could to complete the finish line and to get in the top 20. Unfortunately the girls didn’t make it in the top 20 but Millie was very close. Next was the boys turn. They were just as nervous as the girls were. The whistle went and the boys shot off. They also had to run 1500m. When the boys were near to the finish line they didn’t give up and kept going whilst listening to the chanting from their classmates and teachers. It was a very tight race and we are very proud that four of the year 5 boys got in the top 20 out of ten schools. There have been 3 events like the one today and our 4 boys will now go on to compete against the top 20 from the other events. The boys who got through to the next round were. Dylan, Zac, Jayden and Freddie. We just want to say a huge thank you to Mrs Globe for organising this and Mrs Woolstone for coming along to help. Well done to the rest of year 5 for participating and not giving up. The year 5 and 6 boys were really excited to play their first football match against Monskmead school. It was a very pressurised match as we had not played with each other before. It was a very competitive match. Our amazing coach Mr Conway supported us during the match. Towards the end of the first half Monksmead snuck a goal past our unlucky keeper Zak. Clore had some spectacular chances but we just couldn’t put it past the keeper. Later on, Monskmead got a second goal before half time but we didn’t stop fighting for the win. Now it was half time and Mr Conway spoke to us about how we should keep playing good football and try to take some more shots on goal to improve our chances. Mr Conway’s talk really gave us some motivation for the second half. As we didn’t have defenders Harry and Jonah bravely stepped back to help but sadly we conceded a third goal. In the second half we really tried to push our limit. Unfortunately for us they got a fourth and fifth goal. Even though we lost five nil we still enjoyed it and tried our hardest. Mr Conway and Mrs Globe were a real help. Mr Conway for coaching us and Mrs Globe for organising the match. 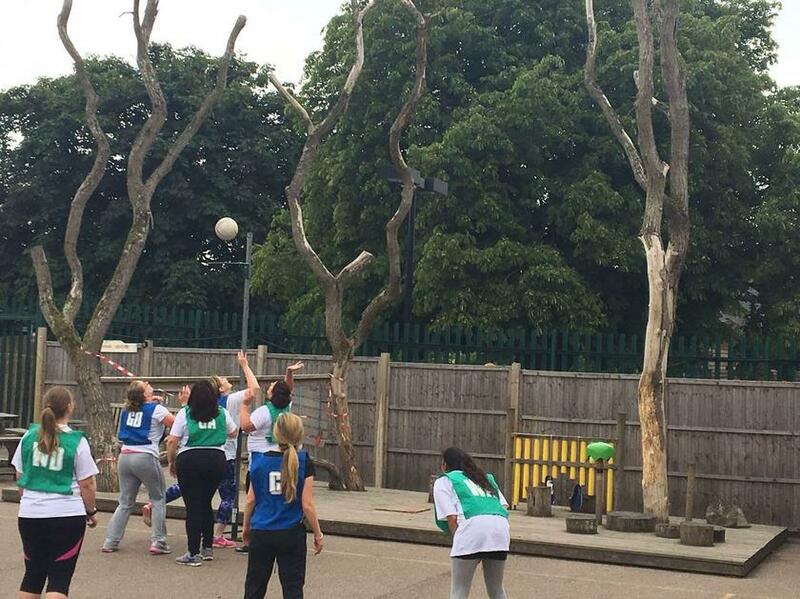 It was 4:50 on a Wednesday evening, the sky was grey and gloomy and the ground was wet but that wasn’t going to stop Clore Shalom’s first netball match against their fierce rivals HJPS! 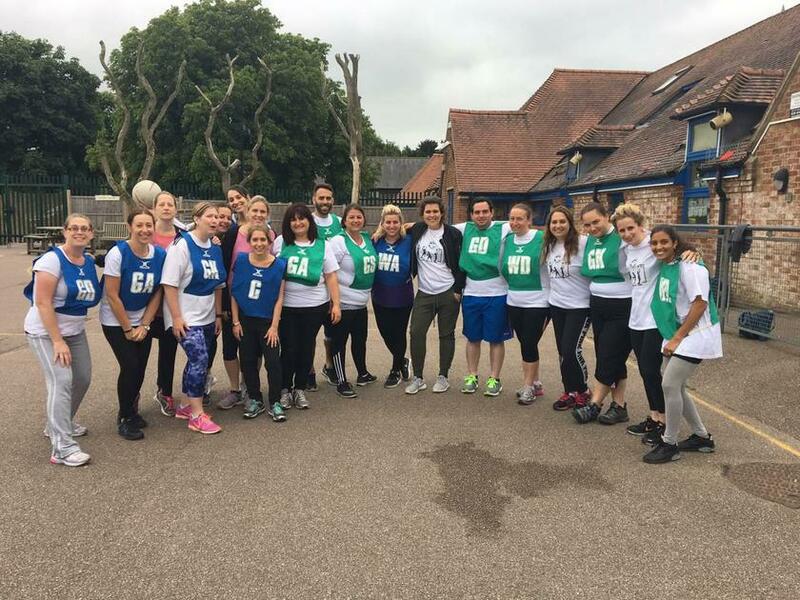 The teachers came out full of enthusiasm wearing their super stylish new Clore netball team tops! The first half was an intense battle, HJPS had the height advantage but what Clore lacked in verticality they made up for with determination, hard work and some added testosterone. People on both sides were getting very passionate and most people were having fun. Even though both teams were playing well, there weren’t many goals in the first half and scoring was only opened by HJPS just before the end of the half. Disaster, HJPS 1, Clore Shalom 0! After a second half team talk telling everyone to slow/calm it down a bit and a slight tactical change, Clore were ready to go and determined to turn around the 1 goal deficit. The second half was a little slower in places due to the fact this was everyone’s first game and in training we’d only managed 20 minutes! Our change of tactics worked well though adding more pace to our attack and it paid off with Mrs Cohen equalising only a short time into the half. We were back in the fight 1-1! It got better as a few minutes later and Mrs Cohen doubles her scoring to give Clore Shalom the lead 2-1 to Clore, we can do this! HJPS didn’t give up though and did manage to equalise making it 2-2 and set up an intense end to the game. With only about a minute left to play Clore Shalom worked the ball into a shooting position but it was Mrs Mesnick this time to shoot, she hadn’t scored yet in the game but she needed to now to win the game. 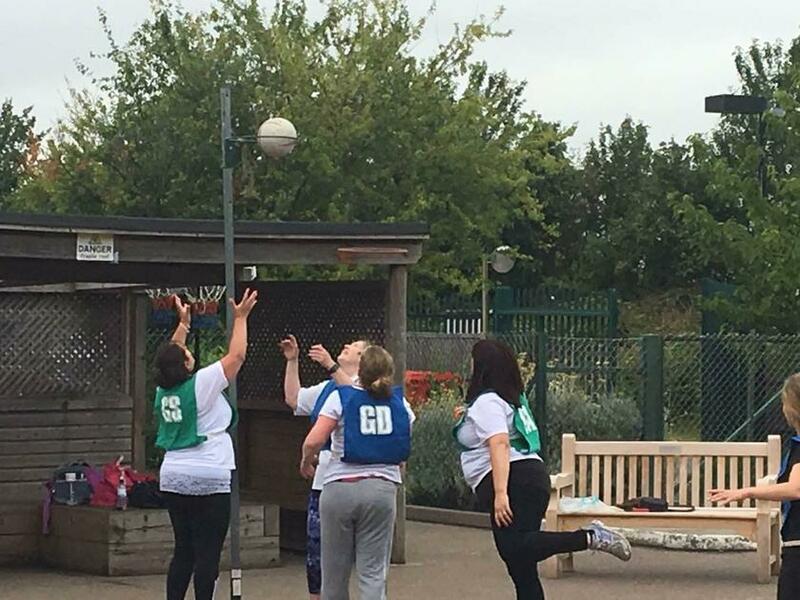 With the pressure of the school’s pride firmly on her shoulders Mrs Mesnick lined herself up, took the shot, the ball flew through the air, hit the rim of the net…… AND DROPPED IN! 3-2 to Clore Shalom with only 30 seconds now left to go COME ON! All we had to do was hold on and defend well. Well 30 seconds later the final whistle blew and we had done it! Everyone shook hands and we all had a great time playing winning was a nice bonus but whether we had won lost or drawn it was a lot of fun and that’s what matters! But we still won! WOOO! Go Clore! On June 14th 2017 11 girls in year 4 went to Imanuel collage to play in the Maccabi netball tournament . There were nine schools including Akiva, Wolfson Hillel, Hertsmere, Kerem, Matilda Marks and Moriah. We had 2 teams and played a total of 10 games. In our first game we were all very nervous, unfortunately both teams lost. As the afternoon went on we started to improve. For our third game we were against Hertsmere and we drew 1 -1. We scored the first goal. All matches were 5 minutes long. We played another few games where we had a mixture of losses and wins. Then our biggest game came up so Mrs Globe had to put our strongest team together because we were against Hertsmere and Mrs Cohen promised to have tea with us if we beat them. So we tried our hardest to beat them and we beat them 1- 0, all of us were cheering very loudly and hugging each other. 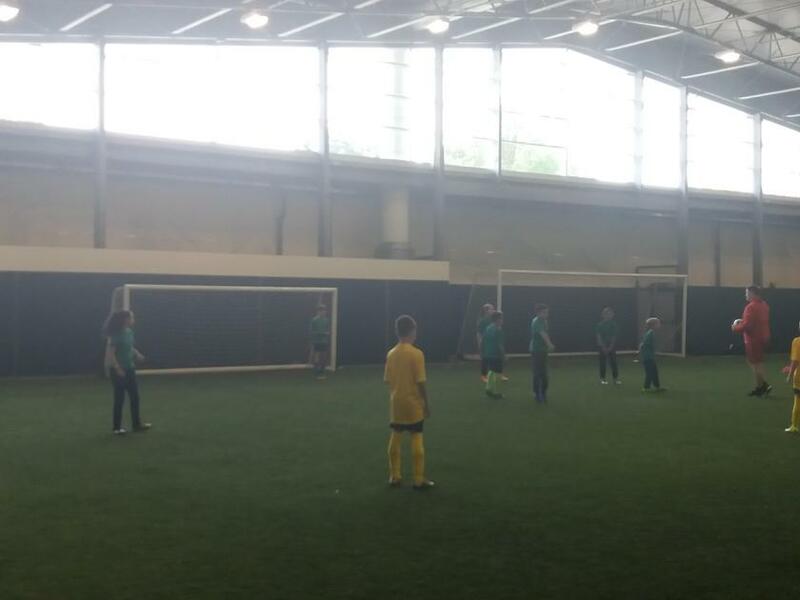 We continued playing and started working well as a team – we had 2 teams although we all switched teams during the afternoon to make sure we all played the same amount of games. Overall our team 2 came 2nd (losing out by one point). What an amazing time we had playing other teams and having fun. Firstly we played Moriah but sadly we lost. After that we played Matilda Marks and we won 2-1. Our next game was against Sinai B and our last game was against Wolfsen Hillel – we lost 1-6 but one of their players plays for 2 football teams and trains 5 times a week! Sadly we didn’t go through to the semi-finals but we all had fun. As it was a hot day we finished the afternoon with some cold water being splashed on us! 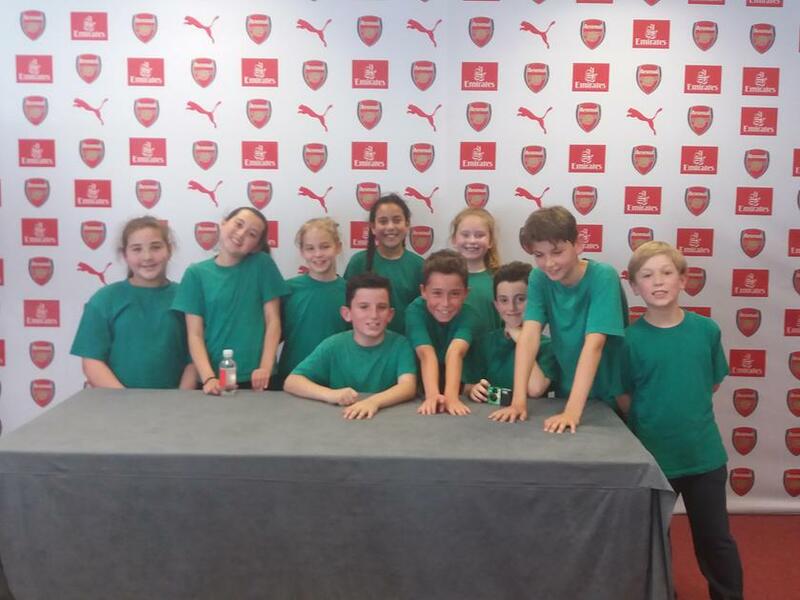 Well done to 10 Year 5 pupils on their excurtion to Arsenal's Double Club tournament. It comprised of classroom based Literacy activities and a football tournament. Each part of the morning was scored and an overall total decided the rankings. Clore came 3rd. Congratulations! 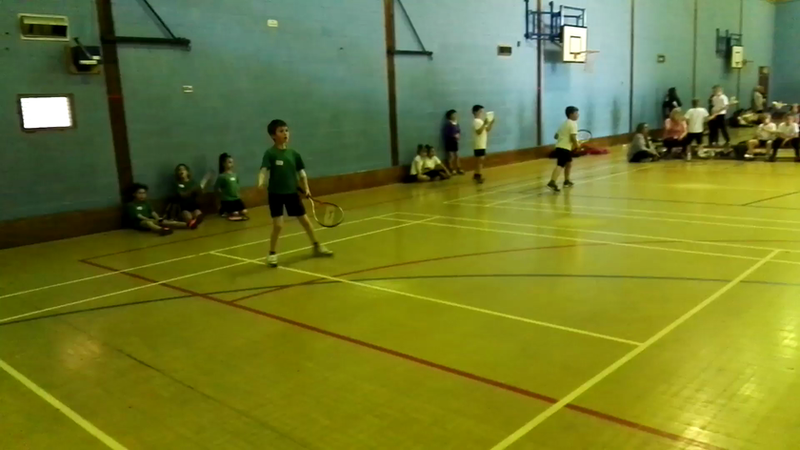 On Tuesday 16th May, Clore Shalom School took part in a tennis tournament. All of us tried our hardest to beat the other opponents. The schools that were against us were all from Hertfordshire and Watford. All of the schools were very good and all tried their hardest. Unfortunately we didn’t win but we came third and we were all very proud of ourselves considering we didn’t have much practice. At the tournament we didn’t get upset even if we lost a game, we would shake hands with the person we played against. We had loads of fun and we really enjoyed playing and watching. We were lucky that we were not in the first round because we could watch everyone’s tactics. We all want to thank Mr Murphy, Mr Conway and Mrs Globe for helping and taking us to the tournament, we had so much fun and we really enjoyed ourselves. 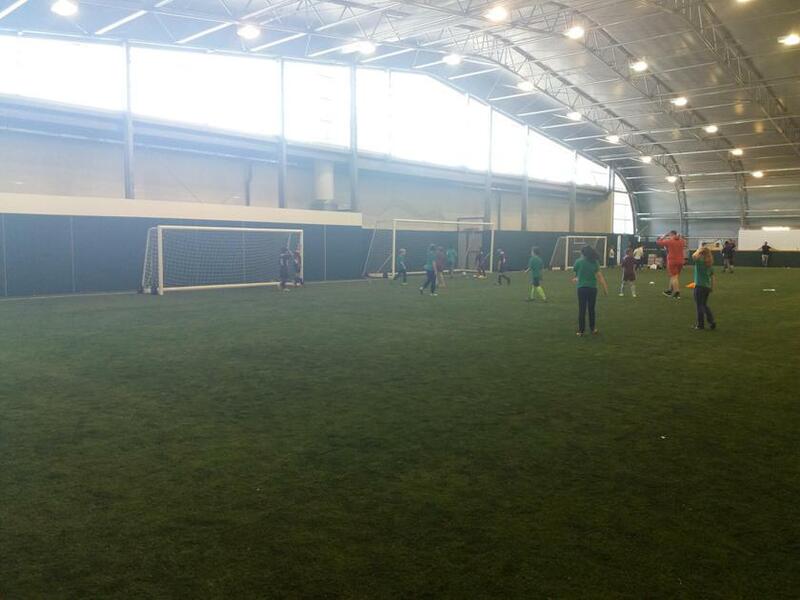 On Wednesday 10th May, the Year 4 football team took part in the Maccabi football tournament at Powerleague, Mill Hill. We played well against Morasha B, Moriah B, Naima A, Wolfson Hillel B and Akiva B. The 1st match was amazing, we won 2-0 against Morasha B then we won 2-1 against Naima A. We continued our lucky streak and won 1-0 against Wolfson Hillel and 2-0 against Akiva B. Sadly we lost our next game 2-0 against Moriah B. We then headed back to pitch 5 to see if we got into the quarter final, we were shocked and excited that we had got through. This excitement didn’t last long as we lost 4-1 to Kerem B. Thank you to Miss Goulding and Mrs Globe for arranging this fabulous event for all of the footballers – we had so much fun. Well done to the Year 6 Netball team who represented our school at the Maccabi tournament this week. The girls won 3 out of 5 games and showed great team work and determination. Well done girls! Well done to the Year 5 and Year 6 Girls footballers who represented our school, at the Maccabi football competition this week. The Year 5 and Year 6 boys football team had a great time at the Maccabi Football tournament this week. The ‘A’ team got through to the quarter finals narrowly losing to HJPS. The boys represented our school proudly and we are fast becoming a force to be reckoned within the Maccabi Sports competitions! It was an absolute pleasure to join the Year 4 football team, at the Maccabi tournament. They were excited to represent our school and Maccabi commented on how well behaved our players were. The team played very well and left the competition undefeated, narrowly missing the opportunity to go through to the semi-finals. I was extremely proud of all of the players and would like to thank Mr Benedick for coaching the team and the other parents who drove the children.